Talented young Indian driver Phiroze Bilimoria will partner Radical racer Nigel Redwood in a GT3 class RPM Motorsport Porsche 997 for the remainder of the 2006 British GT Championship. Bilmoria brings backing from quantity surveyors MPG Associates and the company’s principals intend to be cheering on the Porsche at every round; “Phiroze's talent, drive and determination are a perfect symbol for MPG. We wish him and the Team every success and we will be there cheering him on." Bilmoria last raced in the British Championship two years ago, when he ran a limited programme with Tech 9 in the Cup Class. 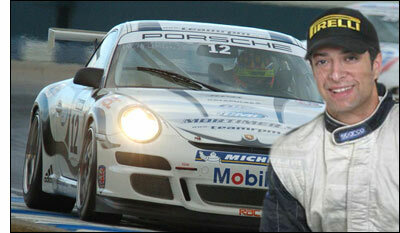 The RPM Porsche becomes the tenth GT3 class machine to enter British GT races this season. The next round of the series is at Rockingham, August 12-13.